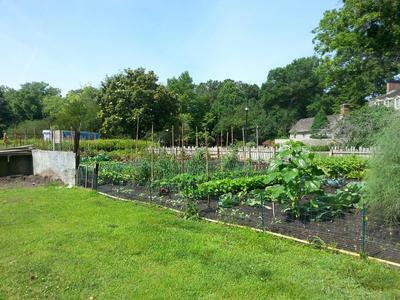 Virginia Beach Master Gardeners maintain historically-based gardens at three historical sites within the City of Virginia Beach. The gardens are open to the public and there are no admission fees. Volunteers maintain regular hours at each garden and are available to answer questions and assist the public. Hours are subject to change due to weather or other events. Please see each historic site’s page for details. ​the Thoroughgood House will open again after construction of a visitors' center on February 22, 2018. The Francis Land House gardens include an heirloom vegetable garden, flax garden, and herb garden. 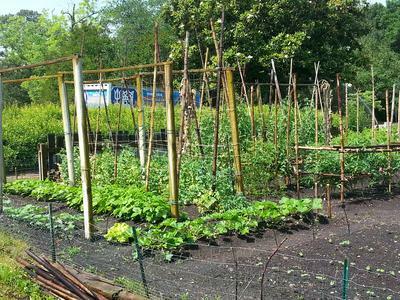 The vegetable garden consists of 35 raised beds, and volunteers grow approximately 150 varieties of vegetables each year. Additionally, there are three 10’ x 10’ plots to grow flax, cotton and the Three Sisters (corn, pole beans and squash) and one 10’ x 15’ pollinator flower bed. Volunteers in the herb garden grow colonial-appropriate herbs used by the Land Family from 1806 forward. Herbs have been labeled with names and uses. The gardens are all located on the grounds of the Francis Land House at 3131 Virginia Beach Blvd, and are open to the public. Volunteers work on Tuesday mornings, mid-March through mid-December. This newly designed and installed fruit and berry garden is a project of the Tree Stewards who had previously worked over twenty years with the old apple orchard that had to be removed due to disease. 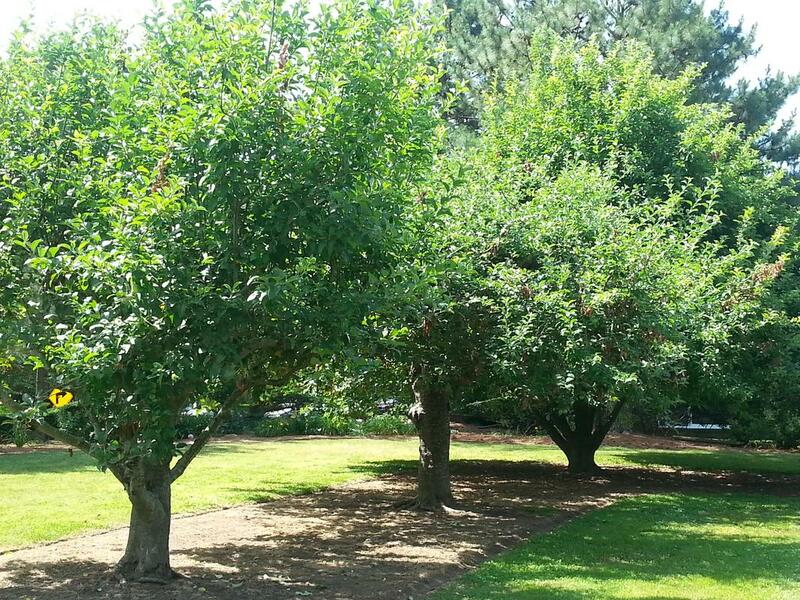 A new area for the apple orchard has been selected so that new trees will not be infected by bacteria remaining in the roots from the old apple trees. Mason Bee House tubes will be used to improve pollination. Each of the four sections of the new gardens will feature several types of Blueberries, Elderberry, Currant, Beautyberry, and perennials. We have selected Newton Pippins grafted on a semi-dwarf rootstock for the apple orchard. Newton Pippins were a popular orchard tree in the 17th and 18th centuries. They were grown by Thomas Jefferson and George Washington. The project is overseen by the Master Gardener Tree Stewards and is open to the public. Volunteers are on-site on Monday afternoons. The historic house’s herb garden is an interpretive tool at the ca.1725 home of middle class plantation owner Francis Thelaball. Herbs grown here were used in cooking, medicine, dyeing and strewing on the floors of the home for odor control. There are four 8’X8’ beds in all. 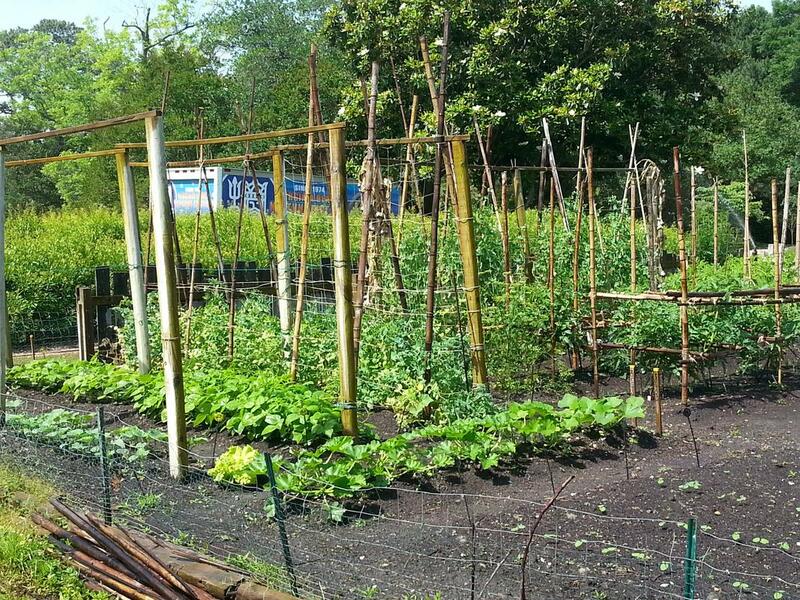 The strewing and insect-repellant bed and vegetable bed were added in 2014. The gardens located on the grounds of Lynnhaven House at 4409 Wishart Road, and are open to the public. Volunteers are on site on Wednesday mornings from April to November.